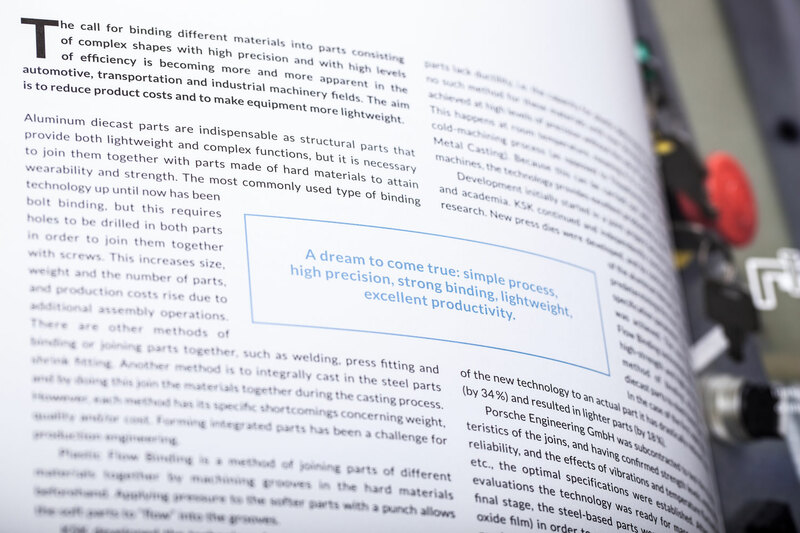 Japanese automotive supplier KEIHIN SEIMITSU KOGYO, or KSK for short, needed a company brochure for the European market. Building on this, a product folder and a modular booth for flagship events for the automotive industry were to be created. The challenge lay in introducing the traditional Japanese company to a completely new target group. In the strategic phase of the project, K16 prepared a status analysis of KSK’s corporate communication. 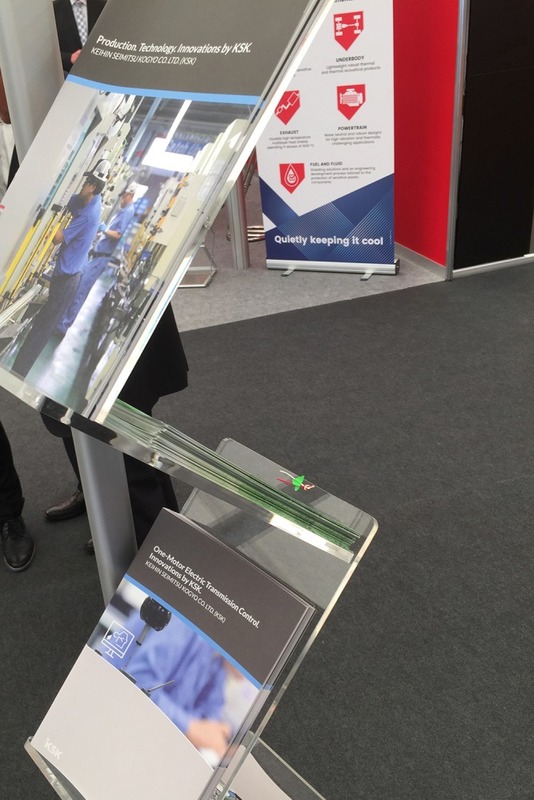 Using these findings, the key messages and values of the automotive supplier were identified: The Kaizen principle, i.e. 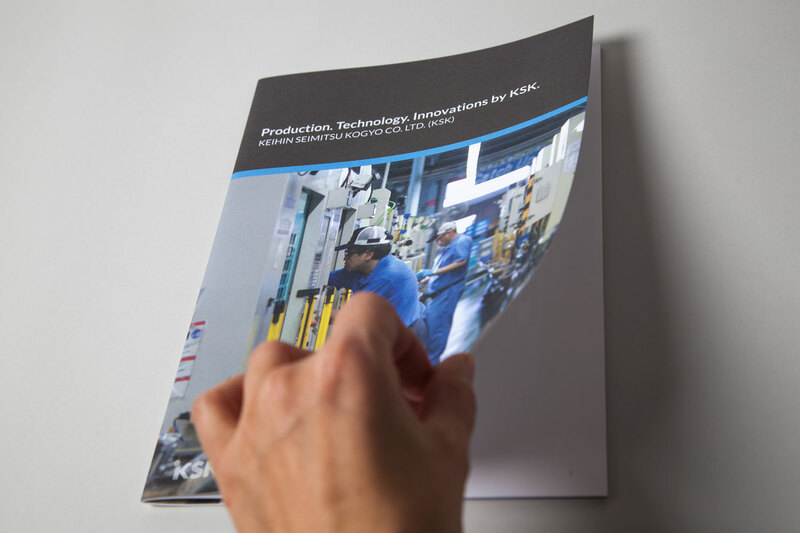 the continuous improvement of processes, emerged as a central identity-forming feature of KSK. 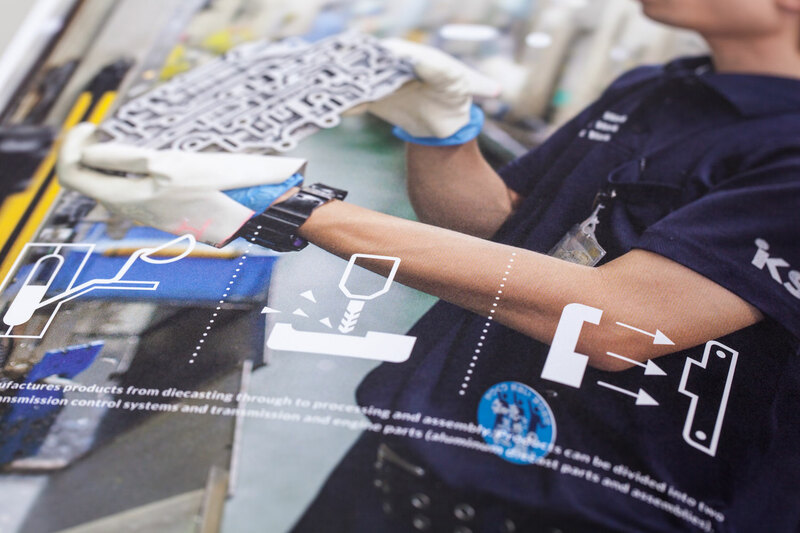 The history of the company and sustainability were also incorporated into the brochure concept. We used KSK’s personality as the basis for the design. We combined photos, icons and Japanese typography. Large-scale photos of the staff, for example, provided an emotional introduction to the imagery, while eye-catching icons clarified complex processes. The colour blue from the corporate design dominated and was contrasted with an elegant, warm, dark brown. 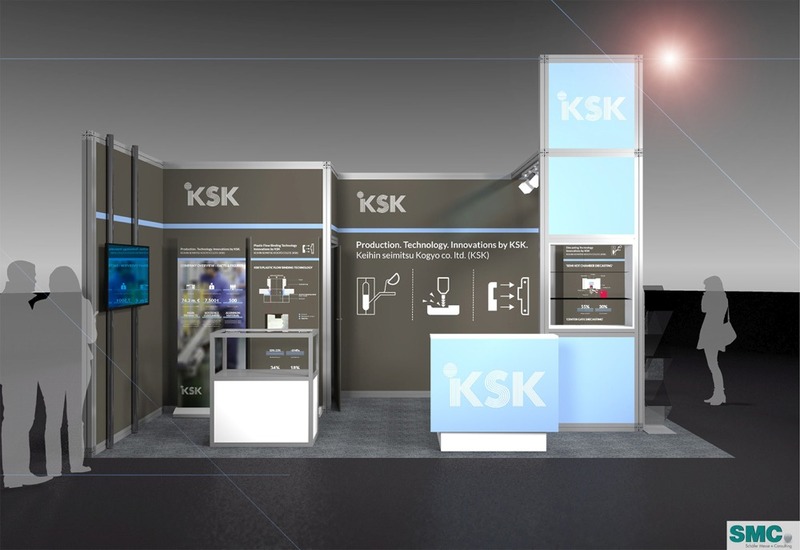 In collaboration with the KSK office in Europe and consultancy firm RD interlogue, we also supported the production of the modular trade show booth and the corresponding event materials.